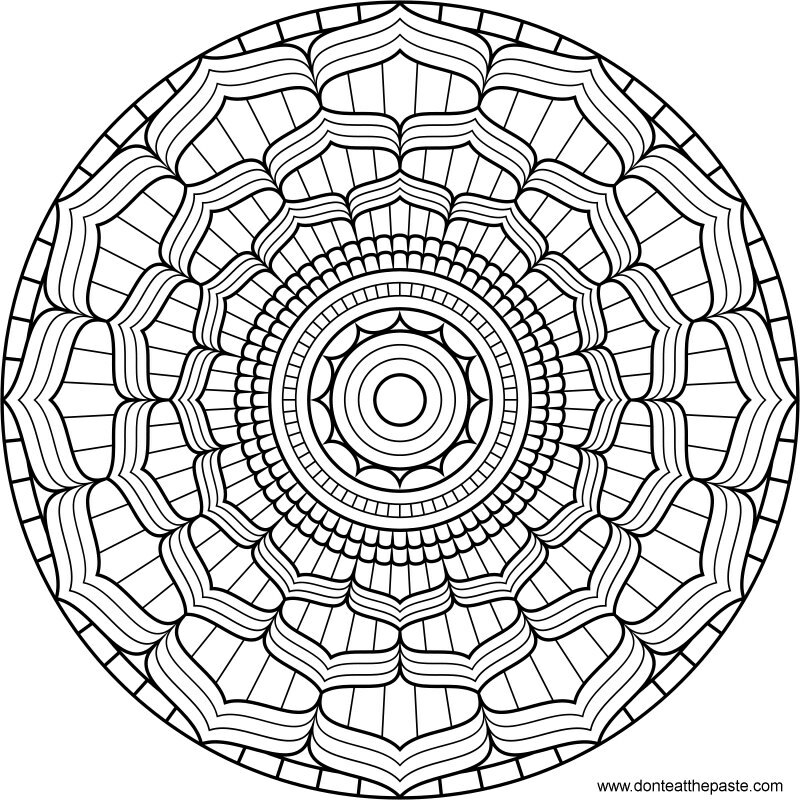 This lotus petaled mandala is kind of special. It's designed to color of course, but if you'll look at the careful divisions, it will also serve as a clock face. The little section that's blue in the center of my digitally colored example is divided into 60 sections for minutes or seconds. 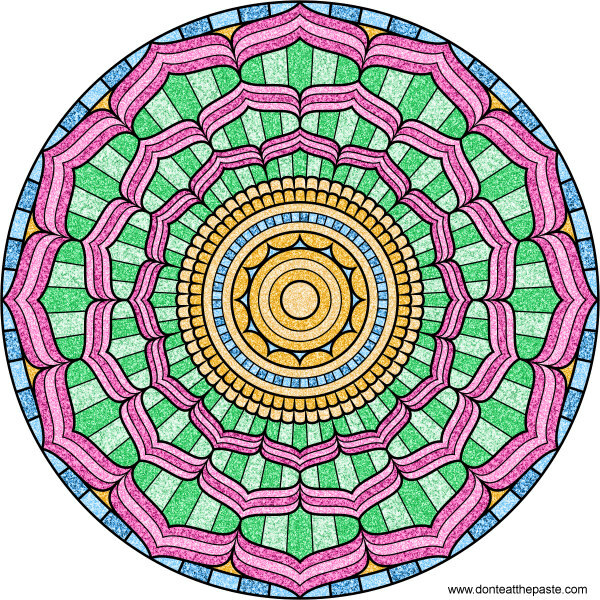 It's a 12 petaled design for the hours and the outer ring is also divided into 60 sections. So later, I'll be posting the full sized version of the one above instead of the smaller version I used for this, and a photo of the finished super simple clock. It will be made using the same basic technique as my comic book cover clock. 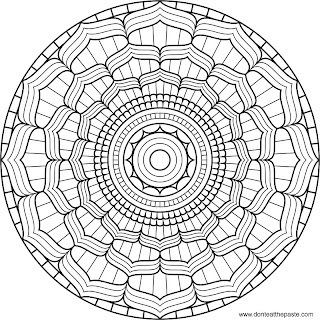 So if you decide you want to make a clock using this design, you can use my colored version, or color in your own. Thank you for all your lovely boxes and mandalas. I like to sit with a mandala and some colored pencils and clear my mind. I have come to love those moments in my life. They aren't nearly as beautiful as yours but I think of mine as having cleaned out my mind of everything negative. I love your boxes. I usually have three or more of them sitting out on the drawers in my entry. They always make me happy. And so nice to put something small in for a hostess gift. I always get wonderful comments and I give out your site to many, many people. Thank you for your generosity and kindness. You have a wonderful family too! 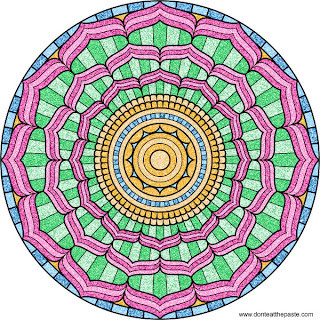 Thank you for making your mandalas available. I printed a few today to share with a therapy group. I think it will be a nice tool. I would also like to share them via my blog if you would be amenable to it. Be well and may your blessing be returned one hundred fold!